Former chief minister Akhilesh Yadav’s cycle track project may hit a dead end as the Yogi Adityanath government is planning to conduct a feasibility study to ascertain its utility. Former chief minister Akhilesh Yadavs’s cycle track project may hit a dead end as the Yogi Adityanath government is planning to conduct a feasibility study to ascertain its utility. Minister of State for Urban Development Girish Yadav said the new government is planning to conduct a feasibility study of the cycle tracks so as to ascertain its utility, before deciding their fate. ‘Cycle’ is the election symbol of the Samajwadi Party which ruled the state for five years before it was uprooted by the BJP tsunami during the recent Assembly elections which saw the saffron party and its allies storm to power with three-fourth majority in the 403-member House. 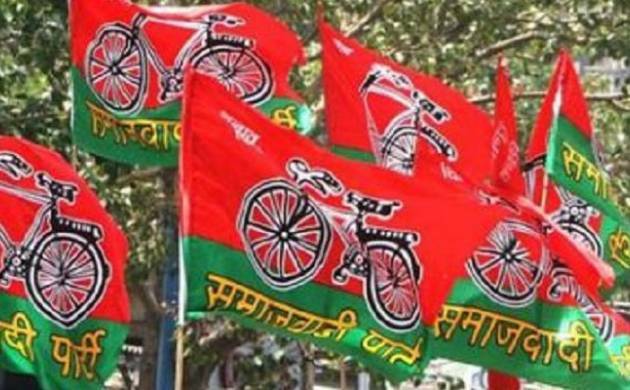 Moreover, the red and green demarcation pillars along the cycle tracks have drawn criticism from SP’s political rivals, who saw in it camouflaged party publicity as the SP flag is red and green. “A study is being carried out on the feasibility of the cycle tracks. The report will be submitted to the state government, which will decide the next course of action,” he said. He, however, said any decision taken in this regard will be arrived at keeping in mind the interest of the public. “May be, in the next couple of days we will be able to take a decision,” he said to a question. The Samajwadi Smartphone Yojana, a pet project of Akhilesh Yadav which promised free smart phones to people, appears as good as scrapped with the Yogi Adityanath government taking no decision on its continuation.“No decision has been taken by the Uttar Pradesh government to continue the scheme,” Additional Chief Secretary (IT and Electronics) Sanjiv Saran told PTI. Persons who are at least 18 years old as on January 1, 2017, have an annual income up to Rs 6 lakh, have passed Class X, and who are not government employees or their children” were eligible for the free smart phone scheme. The registration process for the scheme had begun on October 10.The online registration process was also aimed at establishing Akhilesh’s effort to usher in “digital democracy” in the state and bridge the digital divide. The Chief Minister, who was reviewing various schemes being run by the Social Welfare Department of the state, asked the officials to review the list of beneficiaries under the pension scheme and find out whether they were deserving candidates fulfilling the eligibility criteria. The officials have been asked to complete the review of beneficiaries in a month’s time, a government spokesman said, adding a suggestion was made to rename the scheme as Mukhyamantri Pension Yojna after dropping the word ‘Samajwadi’.